I used to receive HTML messages with embedded pictures but suddenly my outlook 2010 stopped displaying the messages and displays a blank box instead. That was annoying because I missed many offers and information. 1. Click the New Email button or press Ctrl+N while viewing the Inbox. 2. Go to the new message’s File, Options dialog (in the new mail window). 4. 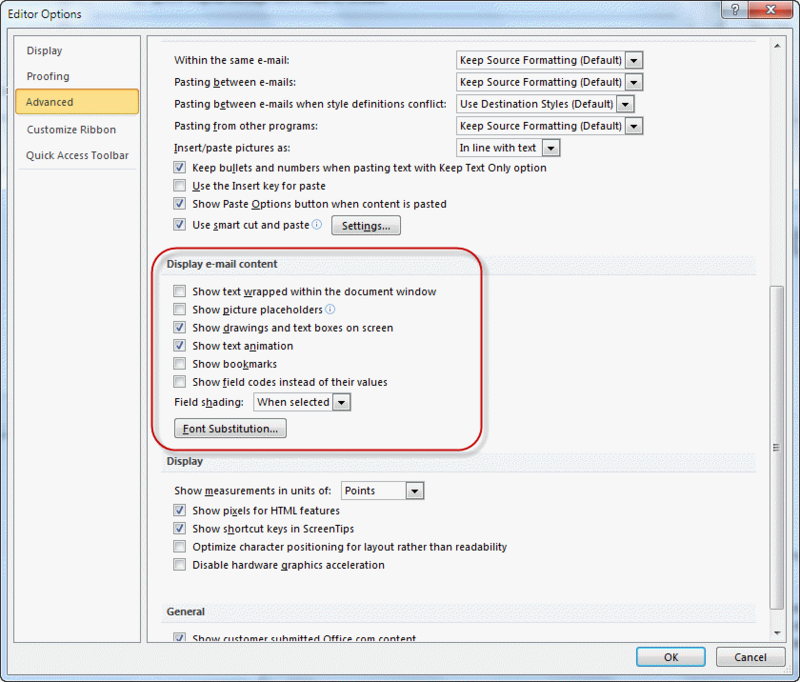 Select Advanced and look near the bottom of the dialog for the option to Show Picture Placeholders. 5. Close Outlook and re-open. 3. In the new window opens, click on Automatic Download from the left menu. Thank you very much …..